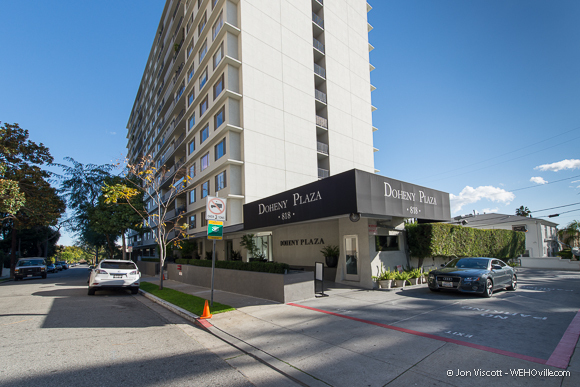 The best known and most historic of the neighborhoods, Norma Triangle (which actually is a bit rectangular) covers the area north of Santa Monica Boulevard and south of Sunset Boulevard between Doheny Drive and San Vicente Boulevard. Legend has it that the silent movie star Norma Talmadge had a film studio in the area and the homes were originally dressing rooms for the stars after whom she named the streets (Cynthia Street, Lloyd Place, Dicks Street, Phyllis Street, Keith Avenue, etc). However, historians say the homes in the area were built for the people who worked for the streetcar company, Los Angeles Pacific Railway, which had a depot where the Pacific Design Center now stands. Those historians say the streets were named after children and friends of Moses Sherman, who founded the area (West Hollywood’s original name was Sherman). 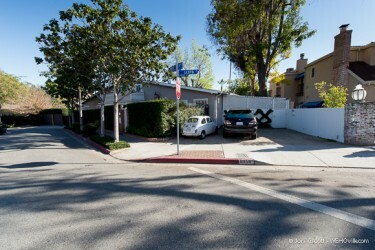 The tiny streets just north of Pavilions are filled with single-family bungalows dating to the 1910s and 1920s which, despite their petite size, now fetch some hefty prices — $900,000 to $1.1 million isn’t unusual. The grocery store with the friendliest staff in the world, anchors the south end of this neighborhood. For those looking for a gay old time, is only a short walk south to Santa Monica Boulevard from this neighborhood, which means party boys can avoid drunk driving tickets. The only public elementary school in WeHo, located at 970 North Hammond St. near Harratt. After 30 years, I only just learned that that section is called “Norma Triangle”! So if the Norma Talmadge story is myth, and it was created by Moses Sherman…WHY IS it called Norma? And that has always been my absolute FAV thing about my Norma Triangle.Boystown! I am a 30 yr Wehovian!